What is mold and what causes mold in your home? Mold is, by broad definition, a type of fungus that sprouts from microscopic spores floating in the air. When clusters of mold spores grow on surfaces, they start to reproduce and become visible to the human eye. If you have mold allergies, asthma, or another lung condition, even breathing in the microscopic pores can trigger an attack. If you don’t, you may not even be aware that there is mold in your home until you see it or smell it (a damp, musty odor is a good indicator that mold is growing nearby). All homes have the key ingredients needed for mold growth: the presence of mold spores, a surface for it to grow on, oxygen, warmth, and darkness. When you add moisture, whether from a water leak, stagnant water, or high levels of humidity, into the mix, that’s where mold problems begin. Knowing where mold is commonly found in homes can help you prevent and treat it so you can keep your home and body healthy. You may love a long, hot shower but, unfortunately, so does mold. The warm, wet environment of a bathroom is practically an invitation for mold growth. Bathrooms that lack proper ventilation (from a window, a fan, or ideally, both) are especially prone to attracting mold. While it may be clear to check for mold on shower tiles, there are plenty of less obvious places for mold to grow in the bathroom. Showers and bathtubs are one of the most common places you may find mold. With repeated use, these areas tend to be damp most of the time. If you aren’t properly ventilating during and after your shower or bath, mold spores will thrive. 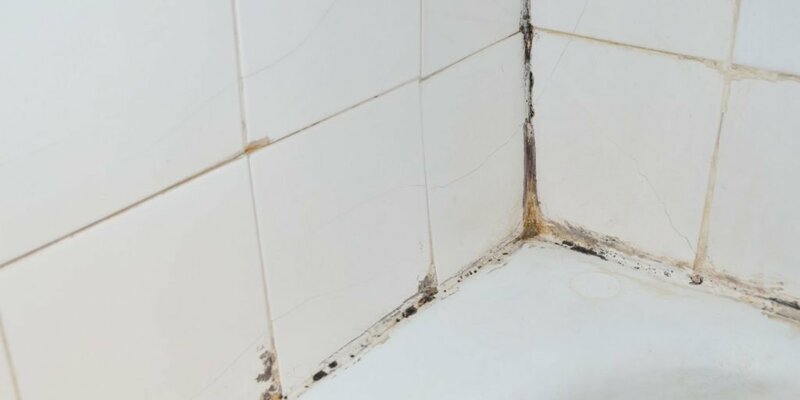 But mold isn’t always visible and obvious; be sure to check for mold on your shampoo bottles, washcloths and loofahs, shower curtain, in and around the faucet and shower head, and in the tile grout. The presence of water, combined with the humid nature of bathrooms, makes sinks and toilets prone to mold growth. The surface of the sink and counters, if not cleaned and dried, are the most noticeable places to check. You should also inspect toothpaste and toothbrush caddies, the tank of the toilet, behind the toilet, underneath the bathroom sink where cleaning supplies are stored (any excess moisture leftover from using the supplies can cause mold), and all of the pipes for both the sink and toilet. From top to bottom, mold growth is likely in a bathroom. In addition to the places mentioned above, pay attention to any water leaks coming from the walls or floors — these leaks can cause mold to grow quickly. Bathroom rugs are also known to harbor mold, and are usually not washed as often as they should be. A lot happens in your kitchen sink. Dirty dishes pile up (it happens! ), food goes through the garbage disposal, wet sponges sit in the sink or in caddies and collect bacteria, and faucets run. All of these things contribute to the potential for mold growth, so check in these areas often if you want to prevent mold. Oh, and don’t forget to check underneath the sink — leaky pipes are a big problem for mold. Food, especially if it’s expired, can cause mold. Your fridge and pantry should remain free of old food, and the surfaces should be wiped down regularly. In addition to those evident places, fridge drip trays and water dispensers collect water and are, therefore, the ideal place for mold to grow. These food-centric places of your kitchen see a lot of food spillage and grease splatters — two things mold loves to call home. Not only is keeping these things clean and dry important for having a clean home but it’s also an easy way to prevent mold. Wooden cutting boards, trash cans, behind the stove (where food crumbs fall) and windows and window sills in the kitchen are like heaven for mold spores. They feed off of these places, so keeping them clean and dry is critical for keeping mold at bay. Generally speaking, your bedroom may not seem like a breeding ground for mold and, with properly controlled humidity, it may not be. 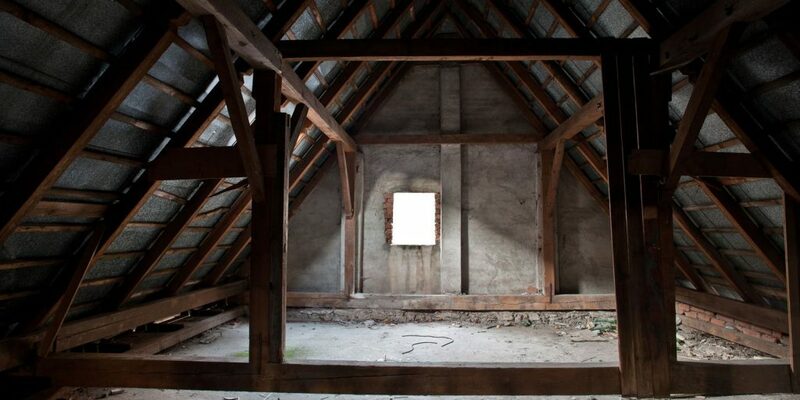 However, all indoor spaces are susceptible to mold, so it’s worth checking for, just in case. All it really takes to create mold is excess moisture and something for the mold to grow on. Finding mold on your mattress is a frightening thought. If you can, invest in a mold-resistant mattress. Otherwise, make sure your household humidity stays low and your mattress (including the underside — opt for a slatted bed frame) stays cool and dry. As mentioned above, windows that collect condensation due to humidity can be especially problematic in preventing mold growth. If that moisture finds it’s way to the indoor window sill, you’re almost certain to have a mold problem. That is, unless you dry if off regularly. You probably prefer your bedroom to be at the optimal temperature for you to get a good night’s rest. While using the AC and heating unit are fine (and can help control humidity), it’s possible for mold to grow in the vents. It’s clear now that mold can form in any room of your home. The living room is no exception. 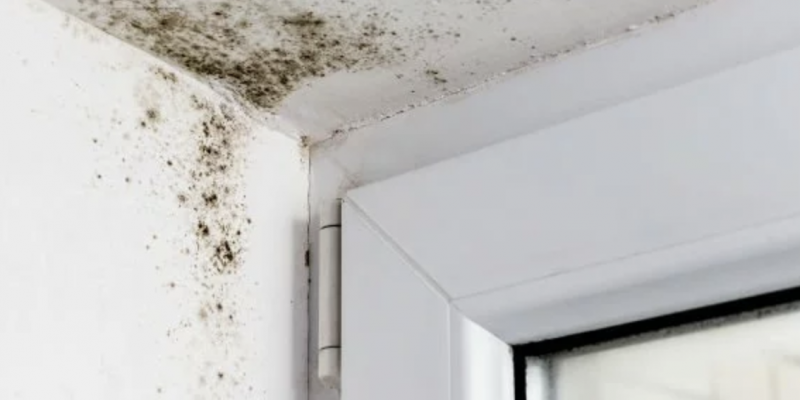 From meals in front of the TV to the household plants you use to keep the air fresh, the chance for mold growth is compounded with every element you add. Fabric and upholstery do a great job of collecting mold spores. If your couch (or other cloth-covered furniture) or curtains become moist, you may notice a foul, musty smell. This should alert you to mold. However, even if it hasn’t gotten that noticeable, it’s wise to check. Greenery in your home can be good for air purification but, if not monitored, can also cause mold to grow. Ensuring your home is at an optimal humidity level and that you don’t overwater your plants should be enough to prevent this. When not in use, fireplaces and chimneys are cool, damp, and dark, making them magnetic to mold spores. And because the brick used to build most fireplaces is porous, the mold can spread quickly. Your walls and ceiling can hide mold behind them without you being any the wiser. Unfortunately, there isn’t an easy way to tell if there is mold there without paying an expert. You can, however, pay attention to a few warning signs like a musty, earthy smell or seeing condensation on the wall or ceiling. Wallpaper can also harbor mold. If you see peeling or moist wallpaper, you may have growth under the surface. Be careful about peeling it off yourself as this could release a cloud of spores. If you suspect mold growth in the walls, your best bet is to hire a professional. As we talked about earlier, fabric surfaces are porous and known for collecting mold. There are many fabric surfaces particularly prone to mold growth: couches, curtains, clothing, and towels. Leave any of these things wet for too long and mildew will form. Once mildew is present, mold is well on its way. Carpeting presents another issue entirely. You might not see (or smell) mold growth on your carpet but it very well could be lurking underneath on the carpet padding. Large spills and leaks happen and, when they do, should be cleaned up and thoroughly dried to prevent mold. If you do notice mold in your carpets, you may want to call a pro to handle it. Appliances that use water or come into contact with it have the potential to harbor mold. Avoid keeping wet clothes in your washer or dryer and make sure that you are properly venting the dryer outside the home (and not into the attic). Front-loading washers are especially prone to mold growth, though newer models have improved this. Always use the recommended detergent and cycles to help prevent this, and keep the washer door open when not in use. Also, don’t forget to clean out the dryer lint — this, too, can grow mold. Your HVAC system is an extremely important place to be on the lookout for mold. If your ducting gets moldy, it can spread the spores throughout your home. You should regularly inspect your AC unit to make sure it’s draining properly and check your filters to make sure they are not wet and don’t need replacing. If you suspect mold in your ventilation system, you will likely need to contact a company that specializes in HVAC repair to clean out your system. This can be costly so be sure to talk to a few different companies; check that they have the appropriate licenses and are compliant with the National Air Duct Cleaners Association standards and get an estimate and quote in writing. This could save your health (and your wallet) in the long-run. No one wants mold to grow in their home. Still, many people are unaware of the variety of common places to check for mold in their home. 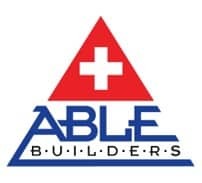 Initially, checking for mold and taking actions to prevent it may feel like a hassle but, in the long-run, it can prevent you from getting sick and prevent your home from being damaged.